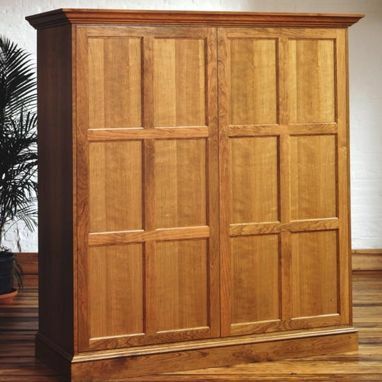 This cherry armoire radiates elegance and symmetry through the use of recessed panels. 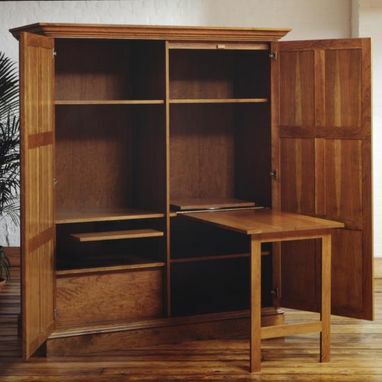 A full office space is concealed inside, an ingenious combination of features include; a complete worktable, TV swivel, file drawer, pullout keyboard tray, and miscellaneous storage space. Dimensions: 72" x 36" x 96"